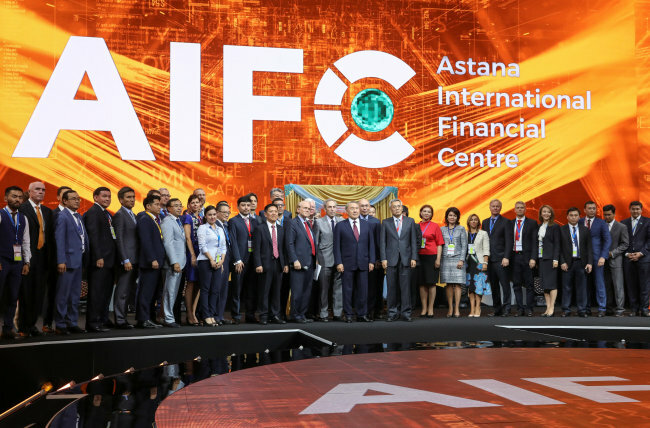 In line with the 20th anniversary of Astana as its capital, Kazakhstan took a step forward in becoming a key hub for Islamic and Silk Road finance with the official launch of the Astana International Financial Center. The AIFC was inaugurated Thursday with the blessings of the country’s President Nursultan Nazarbayev at the international Expo venue, where the center is to operate. “Astana should become the main financial center of the Central Asian region and in the future be included in the list of the leading financial centers in Asia,” said Nazarbayev in his keynote speech. 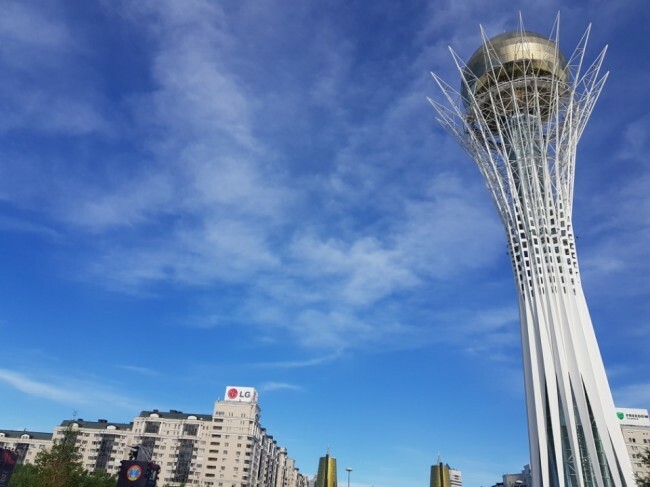 “The financial center of Astana is a new page of independent Kazakhstan, its launch is an important step towards the consistent and sustainable development of our economy,” he added. Modeled on centers in Dubai and Singapore, it will use English as its official language and be based on English law. It will also incorporate a court and international arbitration center with nine reputable British judges on site to draw safe lines and remove bureaucratic barriers for global players. Tax breaks and other incentives will be offered to attract global eyes as well. Ideas concerning blockchain and cryptocurrencies will also be tested at the center. The Central Asian nation, renowned for its rich natural resources of oil and gas, has been seeking to cultivate itself into a financial gateway connecting Asia and Europe in recent years. China, an avid user of the old Silk Road, hopes to reinstate its position as a key player in the new one, and is aggressively pursuing its goal. Throughout the forums that accompanied the launch of the AIFC, it stressed the importance of Astana’s role in its “One Belt One Road” initiative, which is Chinese President Xi Jinping’s plans to connect China with the rest of Asia, Europe and, eventually, the world. The Shanghai Stock Exchange and China’s state-run Silk Road Fund are already large shareholders of AIFC’s Astana International Exchange -- the SSE reportedly holds a 25 percent stake. The AIFC can also be seen as an effort on the part of the Kazakhstan government to balance out the nation’s finances with its former capital of Almaty located in the southeast region. Almaty is home to the Kazakhstan Stock Exchange, which will make Kazakhstan a nation of two stock exchanges. The National Bank of Kazakhstan is also located within the premises of the city. Kazakhstan is a nation that holds rich historic links to the Korean Peninsula. “We have Koreans who were exiled to Kazakhstan from the Soviet Government because of the suspicions they received they were not loyal to (them),” Roman Vassilenko, deputy minister of foreign affairs of Kazakhstan, said in a press briefing held Wednesday. “Thanks to this, now we have Korean businesses and its culture is very much known here,” he told a group of international reporters. Vassilenko refered to ethnic Koreans in the post-Soviet states, also known as Koryoin, who managed to find refuge in the steppes of Kazakhstan after being deported from Russia by the Stalin regime. There were over 100,000 ethnic Koreans in Kazakhstan as of 2006 according to a research by the department of Korean studies at the Kazakh National University. Denis Ten, a 2014 Olympic bronze medalist, is a Kazakh national and member of the Korean minority. His great-great-grandfather was Min Geung-ho, a Korean independence fighter during Japan’s 1910-45 colonial rule of the Korean Peninsula. Alzhir Memorial, a vestige of a Stalinist gulag for wives and children of political prisoners, located west of Astana, displays a dark side of the history of the Koryoin population in Kazakhstan. 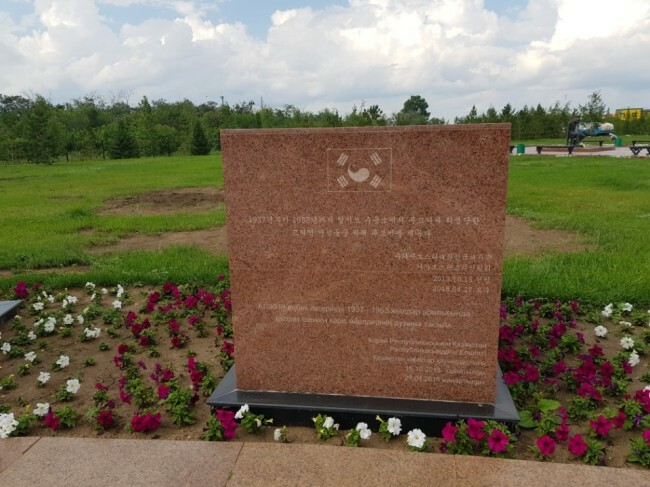 A monument erected jointly by the South Korean Embassy to Kazakhstan and the Koryoin community stands at its entrance to remember the ethnic Koreans who suffered within the walls. The Central Asian nation has also been cited as a model example of denuclearization by experts, as it swiftly dismantled its Soviet-era nuclear weapons program -- once considered to be the world’s fourth-largest nuclear stockpile -- in cooperation with the US. “We commend the summits that took place between the South-North Korea and the one that took place between the North and the US,” Vassilenko said, pointing to the inter-Korean summit held in the truce border village of Panmunjeom on April 27 and the meeting between US President Donald Trump and North Korean leader Kim Jong-un that followed in Singapore on June 12. The deputy minister also stressed that there is no alternative to negotiations and he expects dialogue between relevant parties to play a key part in achieving peaceful denuclearization of the peninsula. In January, Nazarbayev met Trump in Washington, where the US President credited Kazakhstan as a valued partner in efforts to denuclearize North Korea. Though only 20 years old, Astana has grown into a city that encompasses Kazakhstan’s colorful culture with modern values. Performances at the Astana Ballet Theater entice audiences with classic ballet, seasoned with original ideas and a strong contrast of colors. The international Expo venue, which hosted the global Expo 2017, showcases the Central Asian country’s interest in the development of future energy in the most tech-savvy way. At the event marking the launch of the AIFC, Nazarbayev highlighted the uniqueness of Astana in terms of its identity. “I am participating in this great, significant event in our capital with a feeling of excitement and happiness on the eve of the 20th anniversary of the young capital of the country, Kazakhstan became the only state in the world that built a beautiful capital in a bare steppe,” said the president, who was tapped to lead the country before the disintegration of the Soviet Union in 1991 and still holds the seat today.